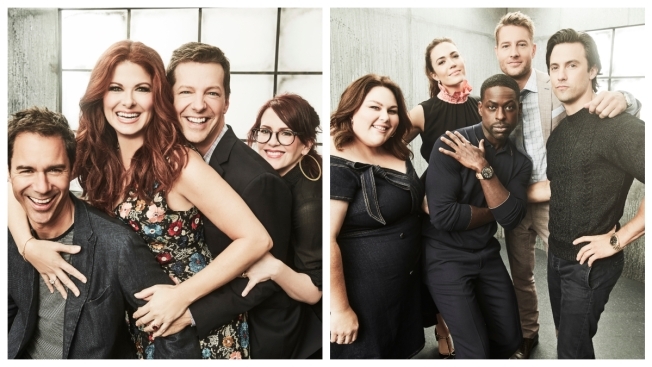 The casts of "Will & Grace" and "This Is Us" are returning soon. The network begins its new season Monday, Sept. 24 at 8 p.m. ET/PT with a two-hour telecast of the blind auditions for season 15 of "The Voice," featuring coaches Kelly Clarkson, Jennifer Hudson, Adam Levine and Blake Shelton. "The Voice" will be followed at 10 p.m. by the premiere of "Manifest," an unexpected mystery journey that is jump-started following a turbulent but seemingly routine flight. "This Is Us," makes its anticipated season three return on Tuesday, Sept. 25 at 9 p.m. following “The Voice.” At 10 p.m. is the premiere of "New Amsterdam,"starring Ryan Eggold as hospital medical director Dr. Max Goodwin, who sets out to tear up bureaucracy, provide exceptional care to patients and return the hospital to the glory that put it on the map. Wednesday, Sept. 26 launches the all-"Chicago" lineup as "Chicago Med" begins its fourth season at 8 p.m., "Chicago Fire" starts its seventh season at 9 p.m. and the evening concludes at 10 p.m. with the sixth season premiere of "Chicago P.D." Mike Schur’s award-winning comedy "The Good Place" will begin its third season with an hourlong episode on Thursday, Sept. 27 beginning at 8 p.m., leading into the two-hour premiere of "Law & Order: SVU," which begins its 20th season. The following Thursday, Oct. 4, will see the return of comedy favorites "Superstore" at 8 p.m. and "Will & Grace" at 9 p.m., with "I Feel Bad"launching at 9:30 p.m.
"Blindspot," starring Sullivan Stapleton and Jaimie Alexander, begins its fourth season at 8 p.m. Friday, Oct. 12 and “Midnight, Texas” starts season two at 9 p.m. Friday, Oct. 26.